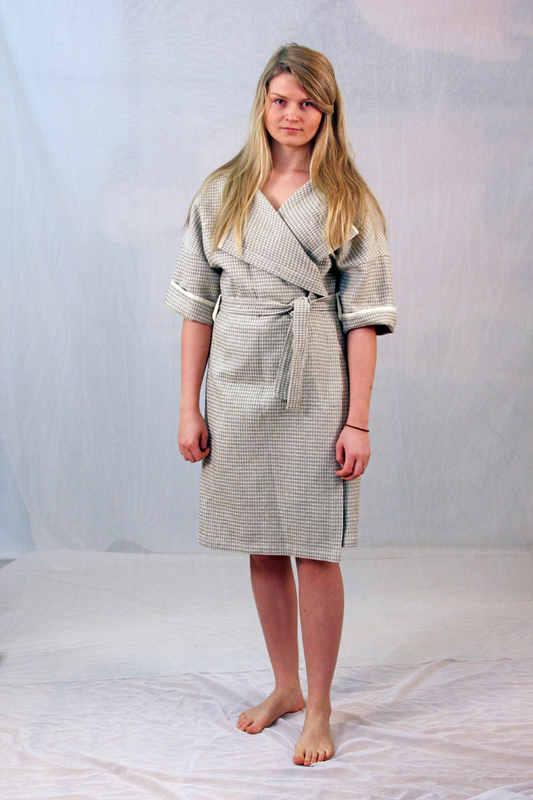 A comfortable and versatile robe for use in sauna and spa. 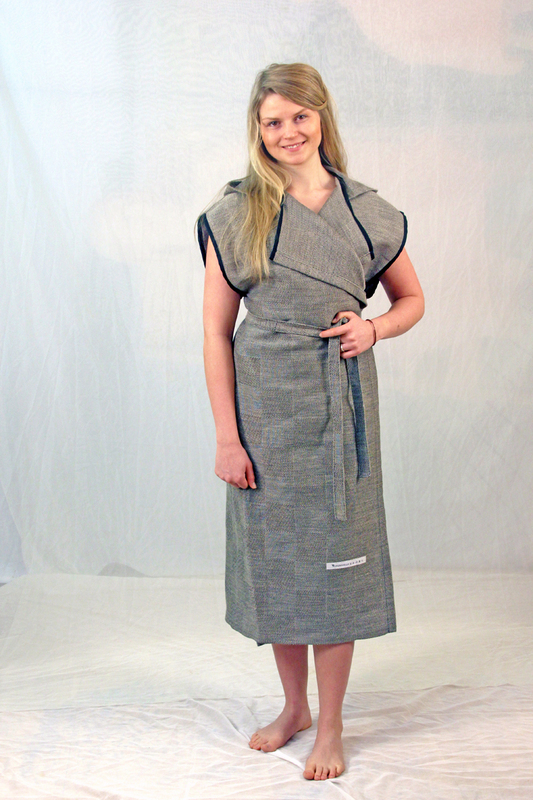 We use Finnish eco-friendly linen fabrics. 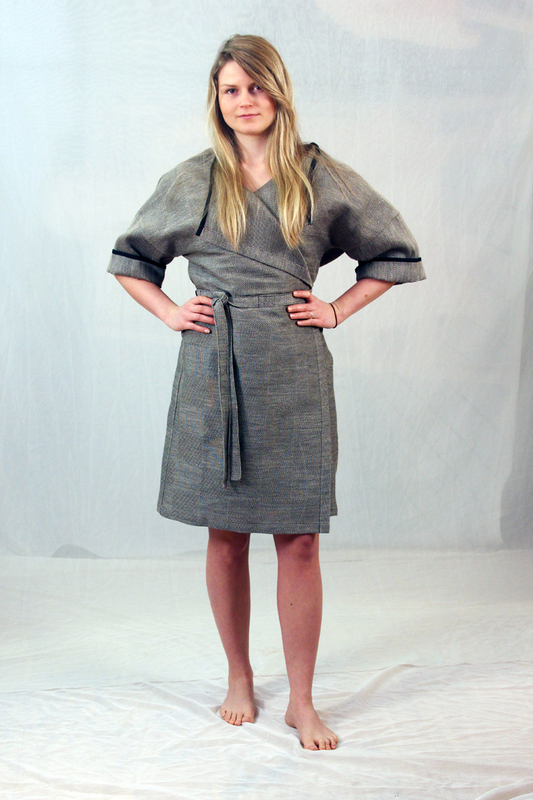 The fabric cloths are manufactured using natural raw materials only: linen, cotton, and water vapour. 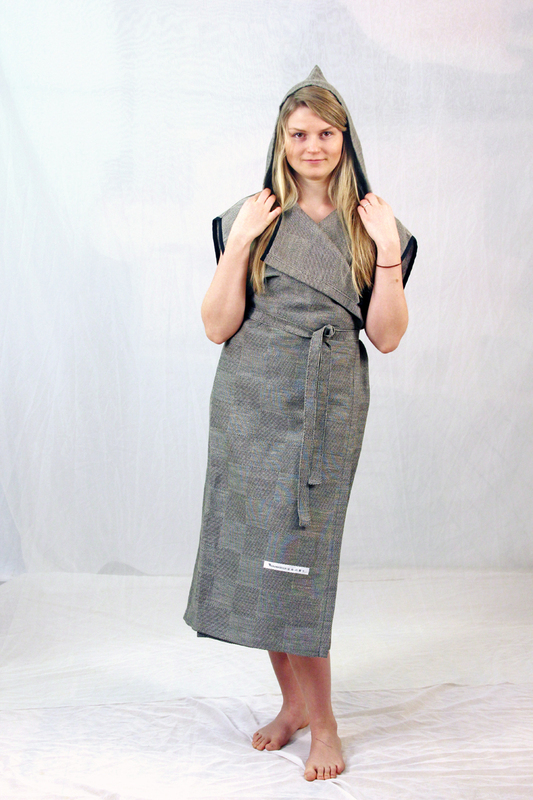 The Saunasella textile products are extremely durable and are also very suitable for people with allergies. 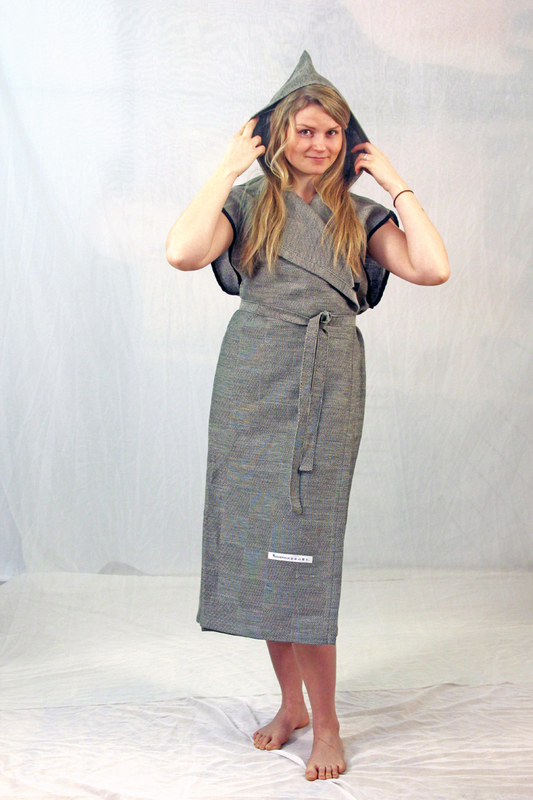 The bath robe of Saunasella is a comfortable and ecological outfit for sauna and bathing purposes. 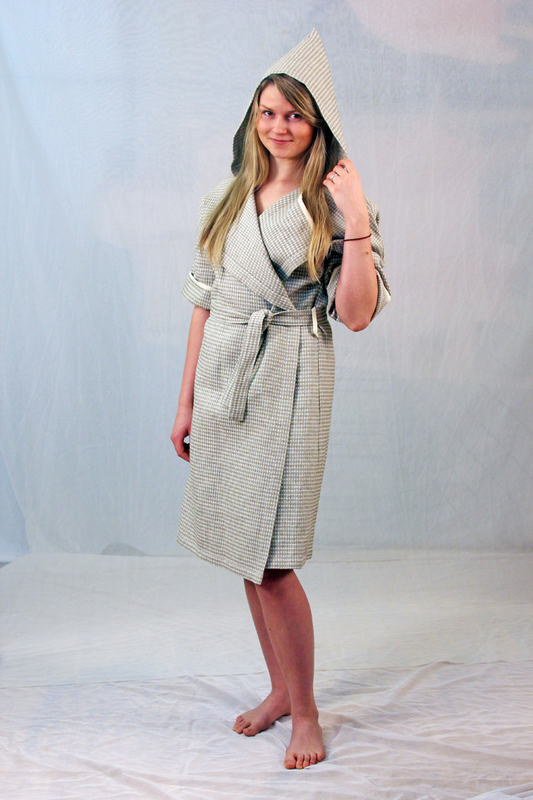 The bath robe is a versatile garment: with it you can go into the sauna and go chilling out of sauna and in the same time it serves for a towel. The bath robe is an adequate option for those, who would like to take a sauna, but feel uncomfortable without clothes in the public saunas. 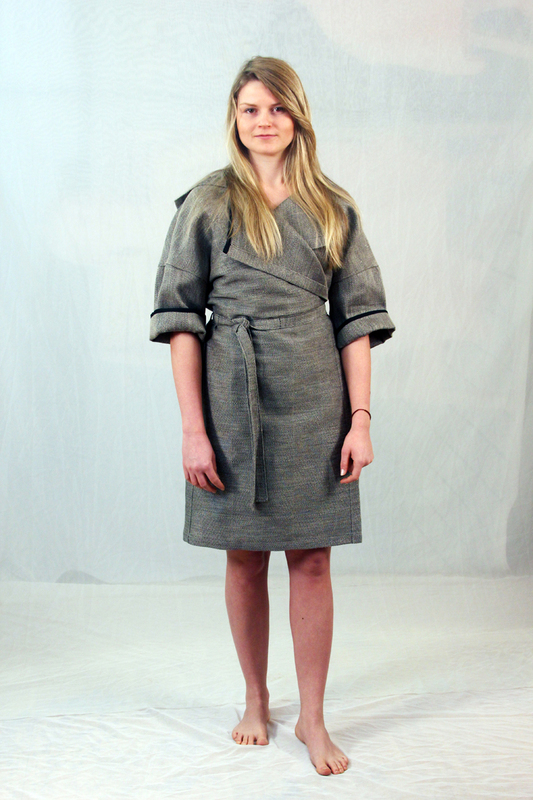 The bath robes are available in two different models (with sleeves or without sleeves).